What a fantastic, GIVING November! 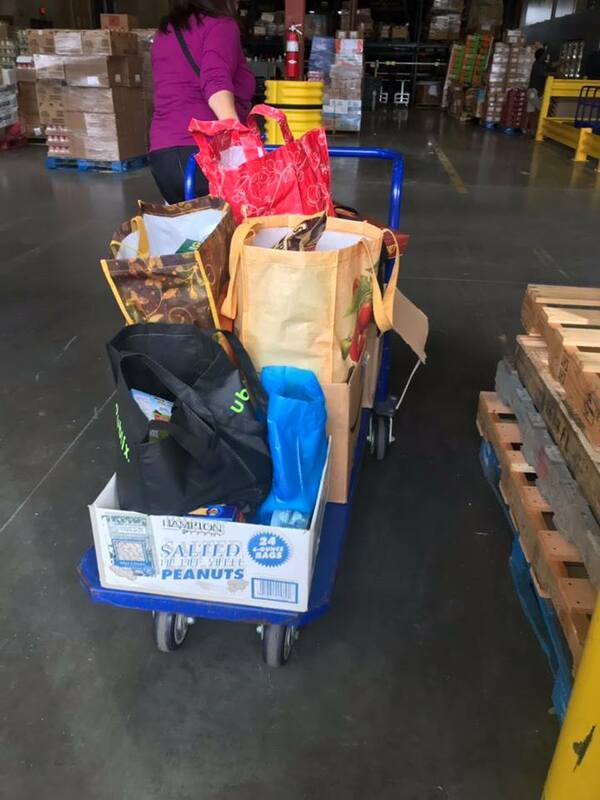 Our November Food Drive for Second Harvest Food Bank yielded 211 POUNDS of non-perishable items! 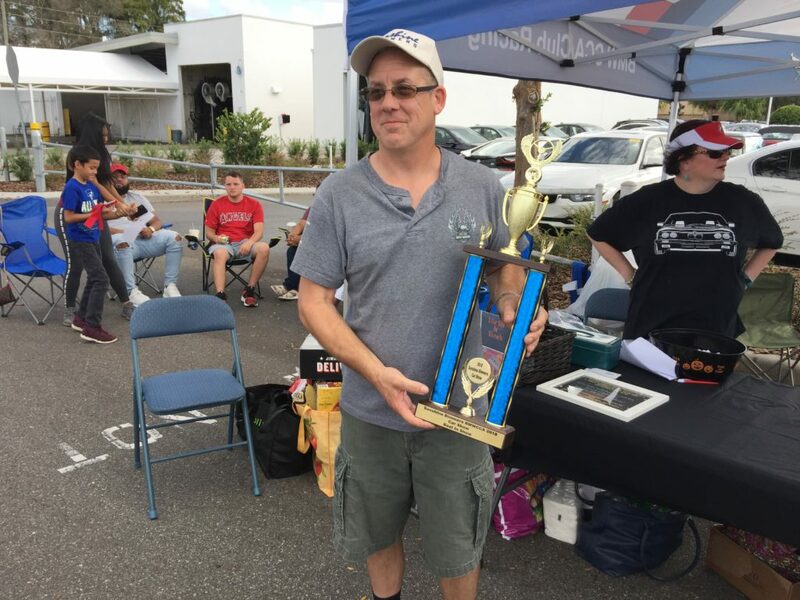 Show n’ Shine Car Show at Fields BMW was a tremendous success with Jim Shoemaker taking “Best in Show”, congratulations Jim and to each of the participants. 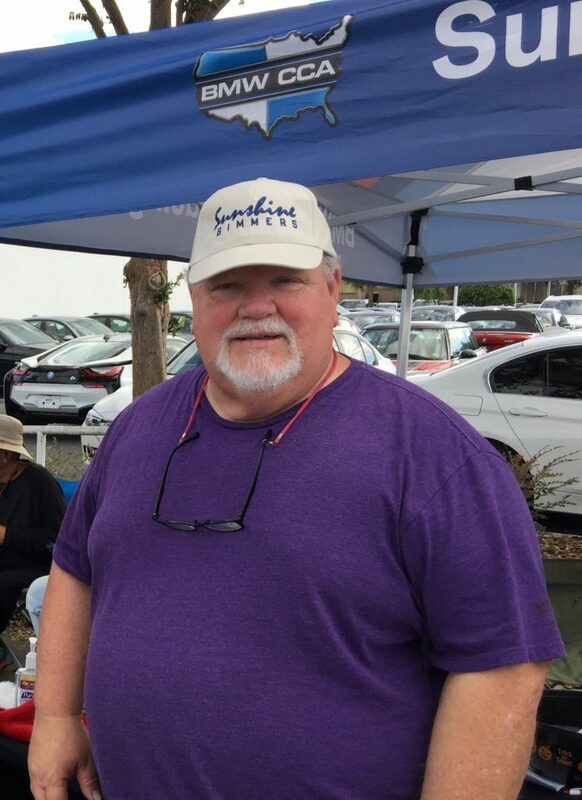 A big shout out to Bob Zeigler for his hard work and efforts to pul this event together, great job Bob! I could not have been happier with the support for our first ever, Holiday Charity Drive event! 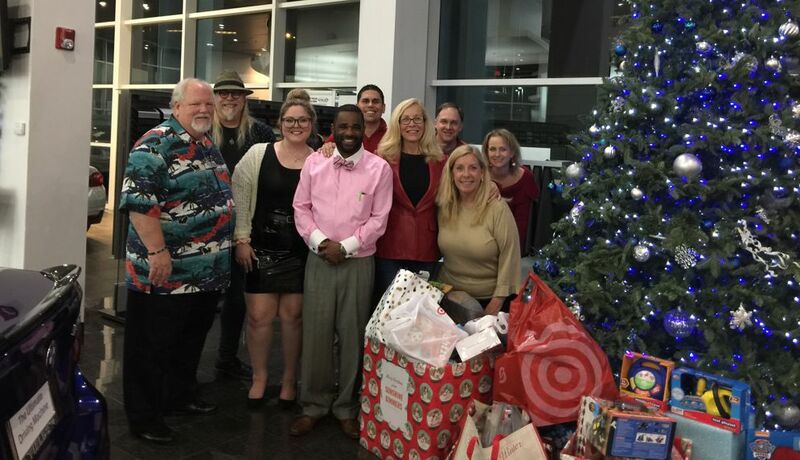 Together, through several raffles and ticket sales, you raised $1000 for our 2018 charity, The Covenant House Orlando and over flowed the toy bins for Toys for Tots. Well done! Our ccatering crew from Uncommon Catering surpassed expectations, and I personally know them to be first class, so going above that is spectacular. Dom Carbonaro entertained us with his crowd pleasing vocals and guitar and our check in volunteers,Rhonda Schmoyer and Elise Snedeker kept everything running smoothly. Our gratitude to Fields BMW Winter Park allowing us to use their showroom and to Orlando Bimmer Club for sharing the festivities. On behalf of the Sunshine Bimmers Board, we want to thank Mark and Amy Rutenberg for their years of service and dedication to Sunshine Bimmers and to the rest of our Board Members who will be stepping down at the end of this month. We look forward to a new year with new ideas and opportunities. Best wishes to all of our membership for a safe and happy holiday filled with family, friends, laughter and BMW’s!